Welcome to Day #1 of Chocolate and Nicaragua Theme Week. 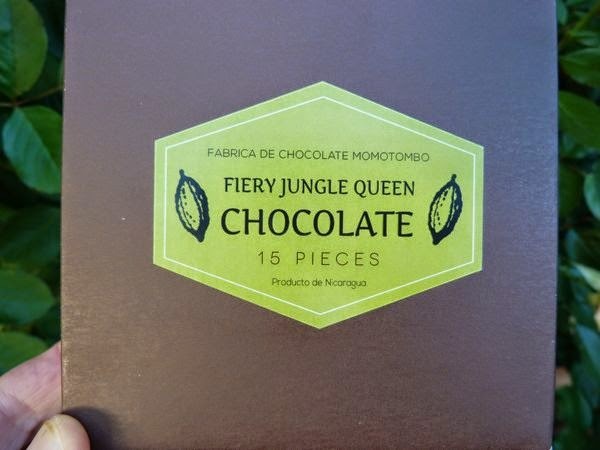 Today's box of 15 Fiery Jungle Queen chocolates, crafted by Chocolate Momotombo (Managua, Nicaragua), was a jolly roller coaster of jungle flavors. 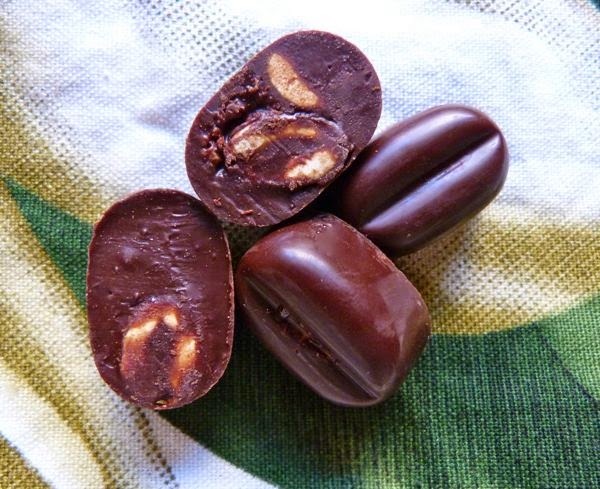 A blend of coconut, chile, peanut, with a hint of tamarind and lemon was stuffed into each chocolate covered, bean-shaped confection. 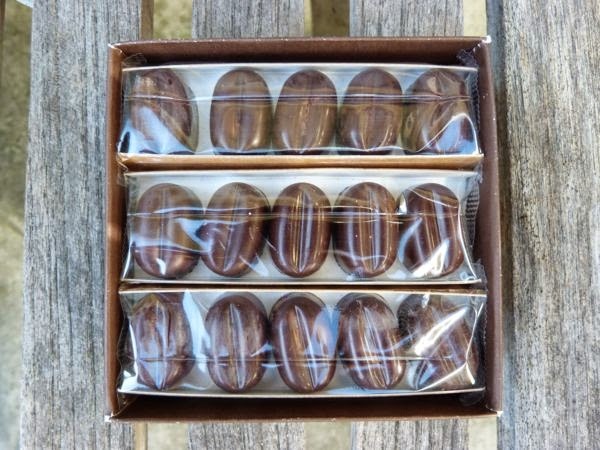 Momotombo* chocolates are made with cacao beans from Nicaragua. *Momotombo is a volcano-mountain in Nicaragua.